I just bought the domain. Willing to sell to the band for £7m. I'll tell Jill to let them know, but I'm sure they're already aware. 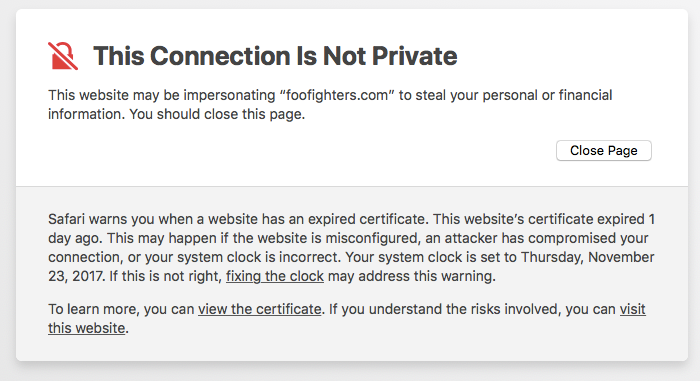 The domain didn't expire silly, just their SSL certificate. Let's Encrypt, which is what they use, is supposed to renew automatically every 3 months but sometimes it fails. Looks like Dan has been duped for 7 mill! In the style of Nelson Muntz from the Simpsons... Ha ha! We got it. Thanks Simon!